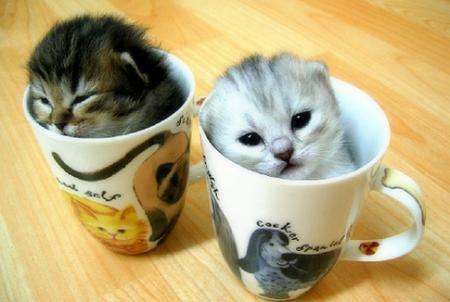 Kittens In some cups. 2 Kittens in cups. Wallpaper and background images in the Animal Humor club tagged: cat humor. They are soo small! Adorable! very nice kittens, i like it.